SETember 4th of July Ticket Sale! Posted on July 2, 2015 by admin | Comments Off on SETember 4th of July Ticket Sale! SET is ready to celebrate the long holiday weekend with a very special SALE on tickets for our upcoming September performances! 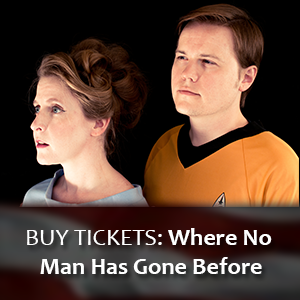 Choose ANY performance of The Doctor, The Wolf and the Witch, or Where No Man Has Gone Before from BrownPaperTickets.com. Save up to 45% on your ticket order! Use these codes for as many tickets and performances as you like – a great excuse to try a new show or to guarantee your seats at your favorites! One discount code order cannot be split across multiple performances; please make separate transactions. No per person limits. Discounts are calculated based on prices charged at the door. Comments Off on SETember 4th of July Ticket Sale! Three Productions. Three Weeks. One Venue. Tickets are $15 online at www.brownpapertickets.com, or $18 at the door. SEATTLE, WA – Join us for a SETember to remember. Seattle Experimental Theater is proud to announce SETember 2015: a mini theater festival that showcases SET’s most popular productions at Theater Off Jackson in Seattle’s International District. SETember begins on Labor Day Weekend and runs through September 21st, 2015. Since 2011, Seattle Experimental Theater has been bringing groundbreaking improvised theater to the Seattle area. Thousands of audience members over the years have smiled with us, laughed with us, and even cried with us. In addition to these numerous Seattle-area productions over the last 4 years, SET shows have been featured at events including Emerald City Comiccon, the Seattle Festival of Improv Theater, and the Hawaii Improv Festival. Now, for the first time, audiences can see multiple SET productions in the span of a single month at a fantastic venue. In the evenings, SET will showcase their flagship, smash hit improvised sci-fi shows, Where No Man Has Gone Before and The Doctor. 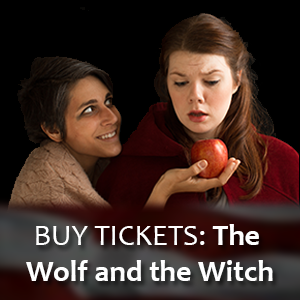 On Saturday afternoons, SET brings back last year’s original The Wolf and the Witch, a series of improvised fairy tales for kids and kids at heart of all ages. See your old favorite or discover a new favorite during SETember. SETember is produced in association with Theatre Off Jackson. “The Doctor” RETURNS this September! Posted on August 15, 2014 by admin | Comments Off on “The Doctor” RETURNS this September! What…Where…When…WHO? Seattle Experimental Theater is bringing this winter’s hit “The Doctor” back to Theatre Off Jackson this September! Tickets are $12 online at Brown Paper Tickets and advance purchase is strongly recommended. Limited tickets may be available for $15 at the door 30 minutes prior to showtime. SET is happy to announce that musician Sarah Shay will once again be performing “Zoey’s Silver Spacesuit” on September 11th, prior to the 8PM opening night performance of The Doctor. 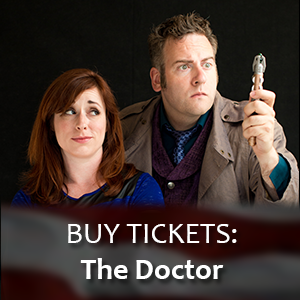 Seattle Experimental Theater is proud to present the return of its hit show, The Doctor, an improvised parody of Doctor Who. The Doctor is a completely unscripted time traveling comedy. At the start of every performance, the cast will get suggestions from the audience that they will then use to create the time, location and plot of the show. Every performance promises to be unique, fun and family friendly. In addition to being improvised every night, The Doctor will have its cliff hanger ending from January resolved with the thrilling (and still improvised) performance September 11th. Will the Doctor be able to fix the damage done to the timeline and get back Emma and the TARDIS? Whatever happens, the Doctor will wrestle with the consequences for the rest of our September performances. The Doctor is created by Jeannine Clarke, Sam Hecker and Tony Beeman. It is directed by Jeannine Clarke (director of the hit Star Trek parody, Where No Man Has Gone Before and Wedding Horror Stories). The Doctor is played by Tony Beeman. The cast of The Doctor is Elizabeth Brammer, Lauren Bond, Ashley Flannegan Russell, Jana Hutchison, Wayne Pishue, Sarah Scheller and Greg Stackhouse. The Doctor is produced in association with Theatre Off Jackson. 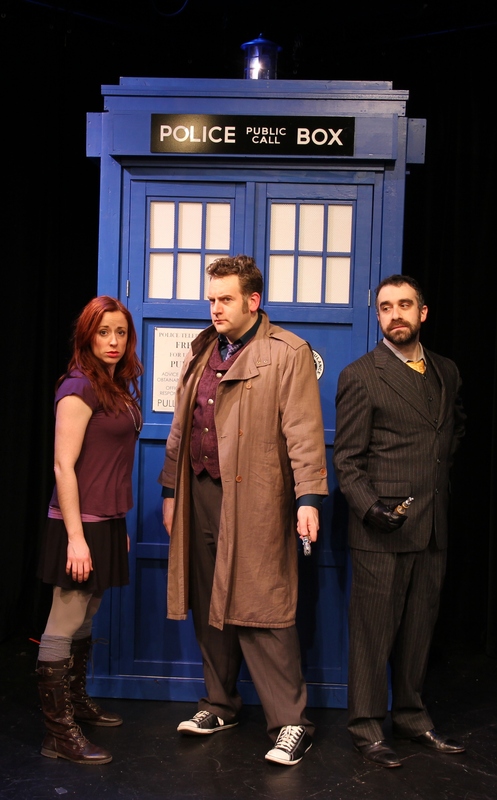 L to R: Elizabeth Brammer (as “Emma”), Tony Beeman (as “The Doctor”) and Dan Posluns. Comments Off on “The Doctor” RETURNS this September!